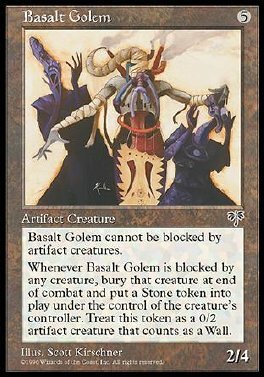 Basalt Golem can't be blocked by artifact creatures. Whenever Basalt Golem becomes blocked by a creature, that creature's controller sacrifices it at end of combat. If the player does, he or she puts a 0/2 Wall artifact creature token with defender into play.